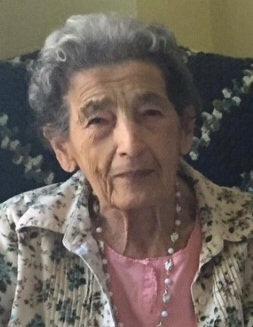 Louise Ruck, 96, of Endwell passed away Monday morning January 28, 2019 at Elizabeth Church Manor Nursing Home. She was predeceased by her husband George Ruck and her daughter-in-law Mary Ruck. She is survived by her son and daughter-in-law John and Rachel Ruck, Endwell, her granddaughter and her husband Melissa and Rodney Boyd, Florida, her brother Milo Molinari, Ohio. She was a former member of St. Casimir’s Church Endicott, a retired AT&T employee, and a life member of the O.L. Davis Fire Department Auxiliary.